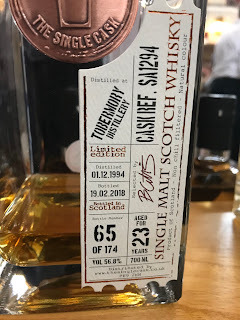 I’ve got another nicely Sherried single cask, cask strength, independent bottling here from one of favourite distilleries, so we can’t go far wrong I don’t think. 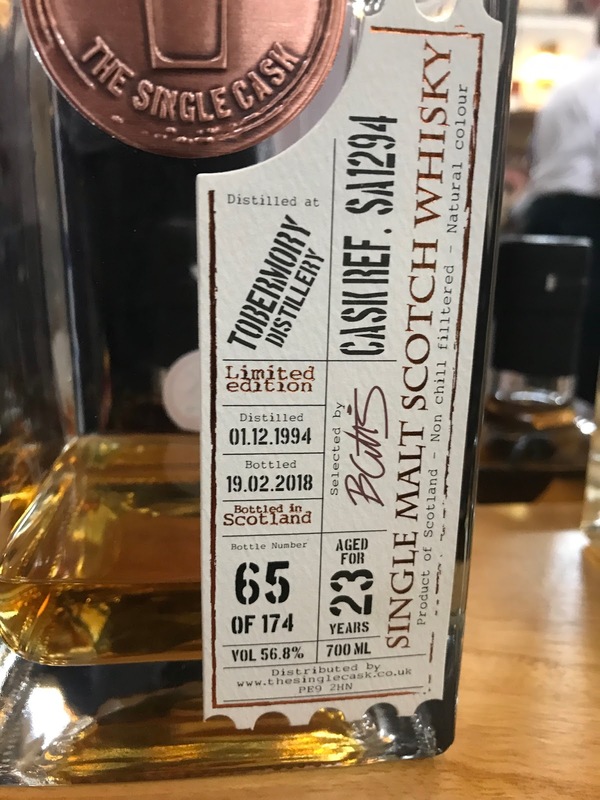 The Single Cask seem to have grown in the last year, expanding the whiskies that they do as well as building a new bar in Scotland. Just looking at their website at the moment, they’ve got loads of different bottling, many more than I thought and the quality is well regarded. Nose: Cheese, very funky, over-ripe peach and orange, Parma ham, very dry oak, green tomato then more fig and PX Sherry after a bit. Water: More golden raisin, malt, Macallan. Its straighter and less feinty now. Taste: Intense! Sweet, raisin, very thick, PX Sherry, fig, plum, stewed fruit, orange, then heather and malt, dark chocolate and coffee beans. Oily. Water: Less Sherry, more oak and more spicy. Less balanced. Finish: Medium length. Oily into the finish, golden raisin, malt, Macallan-like here. 2nd fill PX Sherry finish I believe. Wonderful but best kept neat. This does show that unpeated Ledaig can work well with its feinty flavours, a well done one by The Single Cask.